I have missed you, so a lot has happened over the past few weeks. If you don’t follow my social media’s and YouTube channel then you wont know how lucky I have been recently. I have received some amazing PR packages from my favourite brands. Including Makeup Revolution/ I Heart Revolution. When this arrived in the post, I screamed i was so damn excited! I literally stared at it for a while thinking how have i done this, how have i achieved my biggest dream ever! Anyway they have sent me their new donut palettes, literally on that morning a few hours before I was in Superdrug looking at them. Then they arrived in a box, I was blown away. 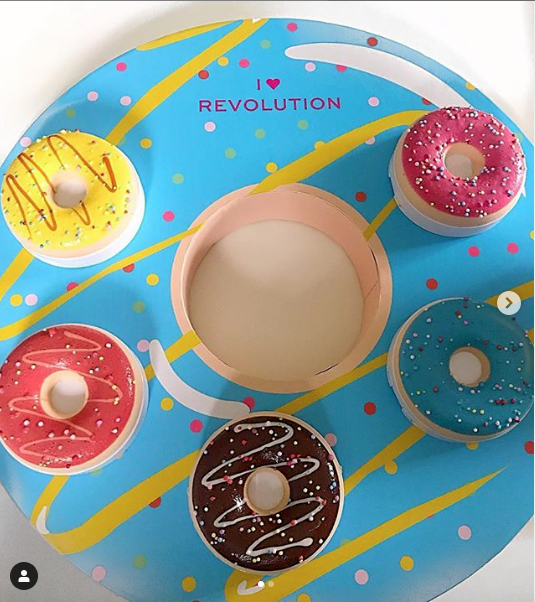 I’m sure I heart Revolution must have thought I was a crazy person because in my instagram story I posted me opening this and i was very emotional. LOL. So as you can see they sent their five donut palettes. Strawberry sprinkles, maple glazed, chocolate dipped, blueberry crush and raspberry icing. I am seriously obsessed with every single palette, I am reviewing each and every one of them one by one. I have already tried the Strawberry Sprinkles on My Youtube Channel. Head over to my Instagram for more pictures and reviews. P.S Don’t forget to follow and subscribe.